It is hard to believe that a decade has passed. 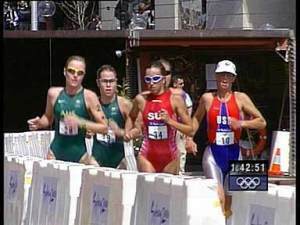 On September 16, 2000, triathlon made its Olympic debut in Sydney, Australia. The spectacular backdrop of the Sydney Opera House and the sport-crazy Aussies lining the streets made this an event to remember. My road to the Olympics was not typical. I spent my youth swimming. But, unlike many of my contemporaries, I had no aspirations of competing in the Olympics. Even at a young age, I knew my capabilities; I was not Olympic swimming material. My goals were less lofty. 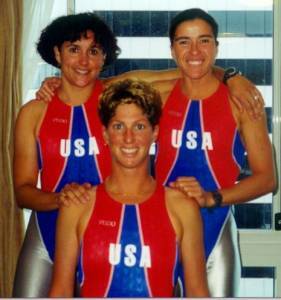 I wanted to qualify for the Olympic trials, and in 1988 I achieved this goal in the 400 IM and 200 breast stroke. Ten years after swimming in the Olympic trials I won my first race as a professional, the Chicago triathlon. I had dappled in some ITU draft-legal racing earlier in the year with varied success and much disdain (note: the ITU governs triathlon for the Olympics and athletes must accumulate points in their race series to be eligible to compete in the Olympics. Each country has its own system of picking athletes who have achieved enough points). 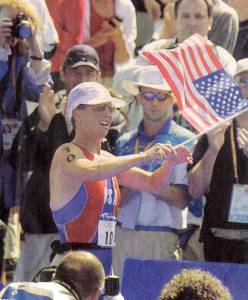 My outlook changed when I earned a spot to the 1999 World Championships in Montreal by virtue of finishing second in the Pan American qualifier a month earlier (I entered this race only because it was driving distance. Amazing how that one race changed everything). This meant, even though I had no points, I gained an automatic berth. I was the lowest ranked person in the entire field of 75 women. I placed 15th. 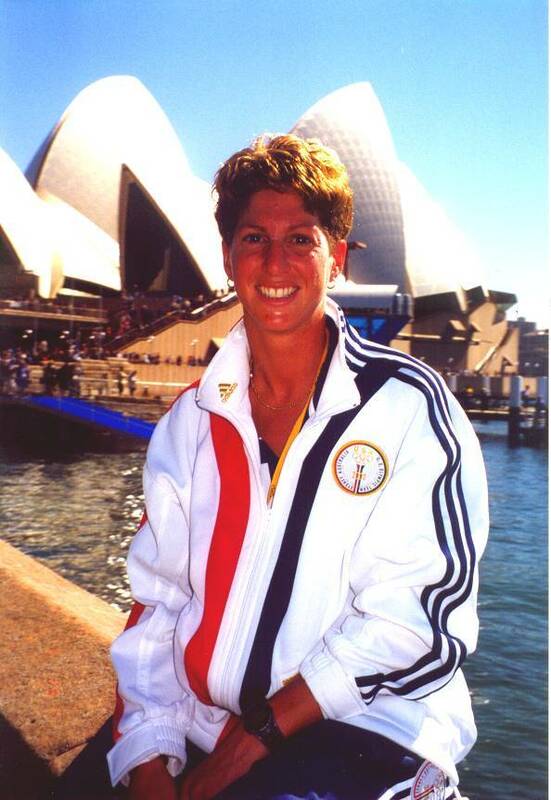 The US coach at the time took me aside and said that he thought I had a chance of qualifying for the Olympics. Until that moment, I never imagined something so far-fetched. My heart was still with long distance and the Hawaii Ironman was in 4 weeks. 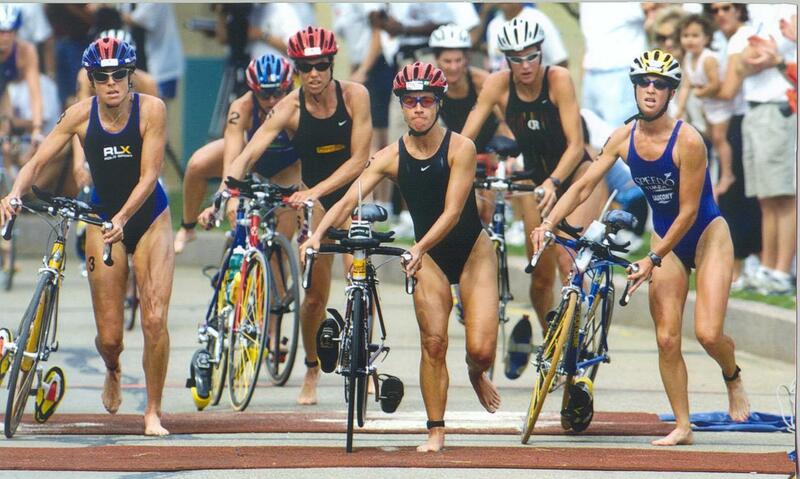 The Olympics were one year away, I was highly inexperienced at ITU racing and I was low on points. 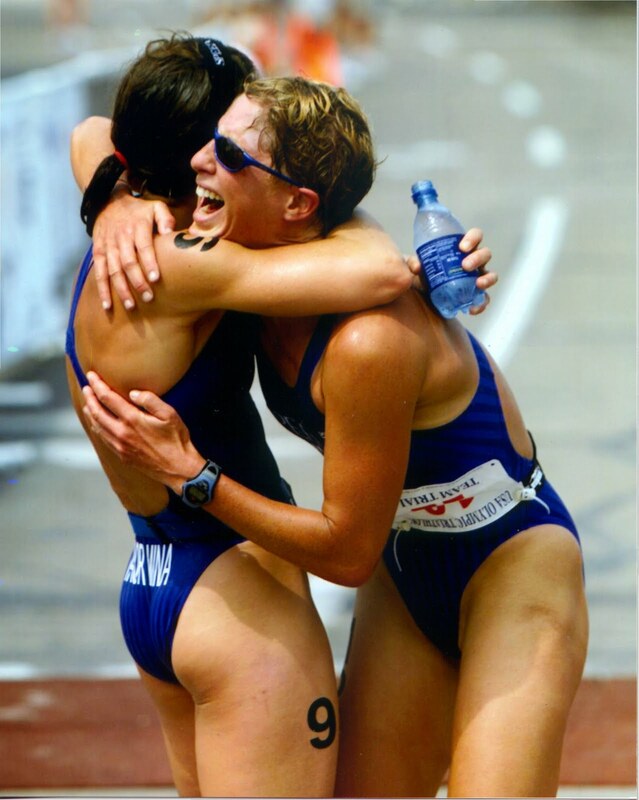 Most of the US women had spent the better part of the preceding years travelling the world racing for ITU points; I had spent this time studying statistics not the ITU athlete guide (I received a very comprehensive tutorial from the husband of an athlete on a flight home from a race). The year 2000 rolled around. My first big race of the year was the marathon Olympic trials in February. I spent most of the winter running, getting ready for this event. The race meeting was nothing like a triathlon race meeting. It was like a gathering of anorexics anonymous. I was a Goliath amongst Lilliputians. I wanted to throw a steak in the middle of the room and watch the frenzy! But, I digress. After this race, I competed in my first World Cup on the Big Island. I placed 3rd. The first Olympic selection race for the US was a World Cup race on the Olympic course in Sydney. Only 6 women from each country are allowed to compete in a World Cup; I was ranked 8th and therefore ineligible to compete. My only chance was to earn one of the two remaining spots at the Olympic trials race in Dallas in late May. I am going to skip the politics of this race because it is exhausting to think about and will bore you to tears. Suffice it to say, after an abysmal bike ride in which my pack of 12 lost almost 4 minutes to the leaders ( a comment from a spectator says it all, “Congratulations ladies, you are now three and half minutes down), we all thought we were fighting for the alternate spot. Coming into T2 at the trials. I charged out of transition with anger and frustration at the pedestrian pace we had ridden. I ran like the ground was covered with hot coals. I ran with a mission. Then, suddenly I found myself in second place. The last spot would be mine. I crossed the line with incredible excitement and surprise. I was in disbelief for weeks after. Sheila and I at the trials finish. My teammates, Jennifer Gutierrez and Sheila Taormina, were fantastic. Of course, as an Ironman athlete, I put in lots of miles, even during a taper. Jen and Sheila would share rides with me. I would do half with Jen and then come back to pick up Sheila. The night before the race. We had just received our uniform. And I was! The race was amazing with thousands of spectators lining the streets. It was hard to focus on the bike. I wanted to look around and take it all in. Midway through the bike, Jen rode up next to me and said “You are our best chance for a medal. Don’t do any work. Find Michellie (Jones) and stick with her. Do whatever she does.” And then, to make a point, she launched an attack off the front of the bike twice. Thanks, Jen. I still appreciate your sacrifice. On to the run.We whittled down to 5. It became a tactical running race. I had never been in such a situation. We ran through transition together, at the 5K mark. The pace quickened. Our group strung out and I was in fourth. As I was running down the last stretch looking at 3rd, even though it was only 15 seconds, it seemed so far away. My position was sealed, I was 4th and the first American. As I ran down the finish chute, someone handed me an American flag. I crossed the line proud. What a day. Ten years later I still get a chill thinking about it. And, no, getting fourth is not the worst place to finish. The worst place to finish is the one where you do not even qualify. Is there a whole (big) paragraph missing? After I read “The pace quickened. Our group strung out and I was fourth.” I was so into the story and ready for the climax, and then it just ended. Am I missing a page? Did the phone ring during this blog write-up? Casserole burning? I’m so not satiated right now Zeiger. Give me the full story.